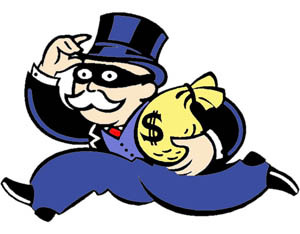 Freedom Socialist Party: And now this: open theft by banks! And now this: open theft by banks! This entry was posted in Socialist/left parties and tagged banks, banksters, Cyprus, Freedom Socialist, Freedom Socialist Party on June 13, 2013 by Krzysztof Lesiak. Carl Person, a candidate for the Libertarian presidential nomination, has sent IPR and posted on his website a release calling to “CREATE COMPETITION FOR “TOO BIG TO FAIL” BANKS BY HAVING EVERY STATE, CITY AND TOWN SET UP A NORTH DAKOTA TYPE STATE BANK”. This entry was posted in Libertarian Party and tagged banks, Carl Person, state banks on September 22, 2011 by paulie. Nader believes that Theodore Dreiser put it very well many years ago, when he said that “the corporations are the government”. “Knowing they [corporations] can’t be out front because people don’t like a lot of these big corporations, they are ripped off by the banks and credit card companies, they camouflage and their camouflage is that they give the Tea Parties certain deceptive information and focus on certain politicians, and therefore they continue their work behind the scenes. This entry was posted in Independents and tagged ballot access, banks, banksters, Chris Hedges, Congress, corporate personhood, corporate serfdom, corporate socialism, corporate welfare, corporations, Eugene Debs, lobbyist, Ralph Nader, tea parties, Third Party and Independent Candidates on November 5, 2010 by paulie. This entry was posted in Libertarian Party and tagged banking, banks, Barack Obama, Bob Barr, Cato Institute, Congress, financial, financial crisis, insurance, John McCain, legislation, Regulation, SEC, Securities and Exchange Commission, TARP, US Congress on April 30, 2010 by Bruce Cohen. Several news items regarding the Green Party candidate or governor, Rich Whitney, in Illinois. “Still, I congratulate Sheila Simon on her selection. This entry was posted in Green Party and tagged banks, Carbondale, Illinois, marijuana, Pat Quinn, Rich Whitney on March 30, 2010 by Ross Levin.